Quality en-suite accommodation, excellent standards of service and facilities throughout LCD TV’s, tea and coffee making facilities, and toiletries. 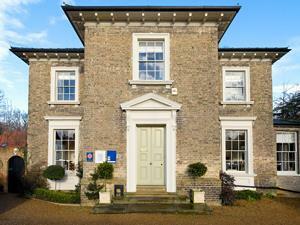 The Old Rectory provides free wireless Broadband access. Guests have freedom of access at all times and we provide off street parking with security lighting and secure storage for cycles. The Old Rectory is non-smoking throughout but guests are welcome to use the delightful terrace and garden areas. From A10/A47. At large roundabout with fly-over follow signs to town centre. At next roundabout take last exit into Vancouver Avenue. At mini-roundabout turn left. Old Rectory is on right behind post box.